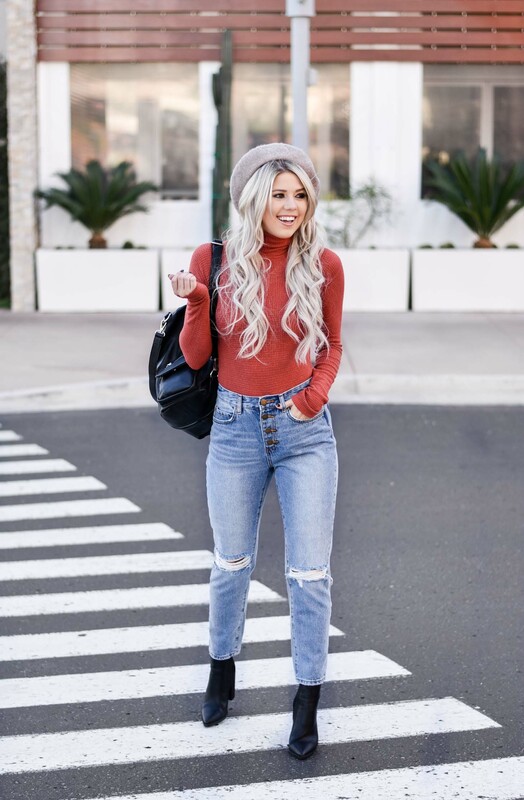 Lulus sent me this cute outfit to style for you! Welp! It’s decided. I’ll be living in this entire look all Fall! I never feel more comfortable and like me than with a look like this. There’s something so perfect about a good pair of jeans and a cute top. I am totally swooning over this look! Let’s start with the obvious: these jeans! 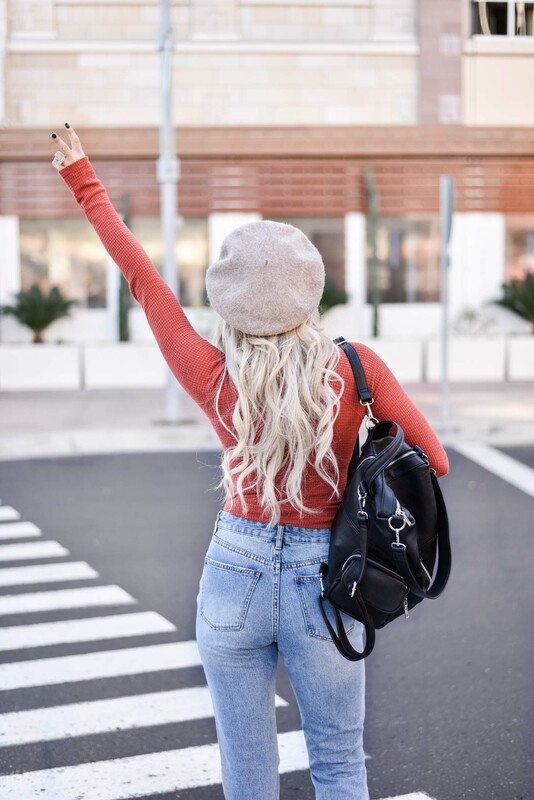 The perfect pair of high waist jeans that fit so perfectly AND are so comfortable. I honestly couldn’t be happier with them! Plus, they are only $69. A steal if you ask me! I paired this pair with a cozy thermal bodysuit. I love tucking a bodysuit into my jeans rather than top. No one has time to re tuck! This thermal is so soft and comes in a few colors. It’s a must for the season! A great pair of jeans like these call for the perfect bootie. I am legit obsessed with this pair of black booties. They fit so nicely in these jeans – plus they were easy to walk around in! Definitely an amazing find! Only $41 too. Um, yeah! To complete this look, I wanted to try a beret! I’ve been wanting one for awhile, and when I saw this one, I knew I had to have it. It’s such a comfortable hat option opposed to a fedora or floppy hat (which I DO love). It’s so lightweight and you don’t even notice it’s there! So cute! When Jess and I were walking around shooting this week, this look took the cake! It was my favorite of the day! Such a sweet, every day look girly!